This fall, Easton’s Group of Hotels marked the onset of construction on Dundas Square Gardens with an official ceremony. What an exciting milestone for this highly successful condominium ideally located at Dundas and Jarvis Streets in downtown Toronto. The hotel onsite will be closed right after the holidays to make way for demolition so the building can begin. You will still find a good selection of suites available if you hurry. Residences are going quickly to professionals and students who appreciate the opportunity to live within walking distance to a wealth of amenities. Ryerson University and University of Toronto are just a stroll away, as are Toronto Eaton Centre, Nathan Phillips Square and Yonge-Dundas Square. The city’s world-renowned hospitals are only a few blocks farther, making Dundas Square Gardens the condominium of choice for university students, doctors, nurses, retail and other professionals. Getting around the city is a breeze with subway and transit lines only footsteps away! Destined to become an iconic landmark, Dundas Square Gardens features a striking exterior by Page + Steele / IBI Group Architects. It will rise to 47 storeys with a stunning lantern finial at its top, while its sister tower will include 17 levels. Suite designs defy the ordinary, with efficiency and space usage as important as beauty. Chic interiors by Studio Munge include the Sky Lobby, and amenities extend to a rooftop pool on the 18th floor. The lifestyle offered here is incredible. 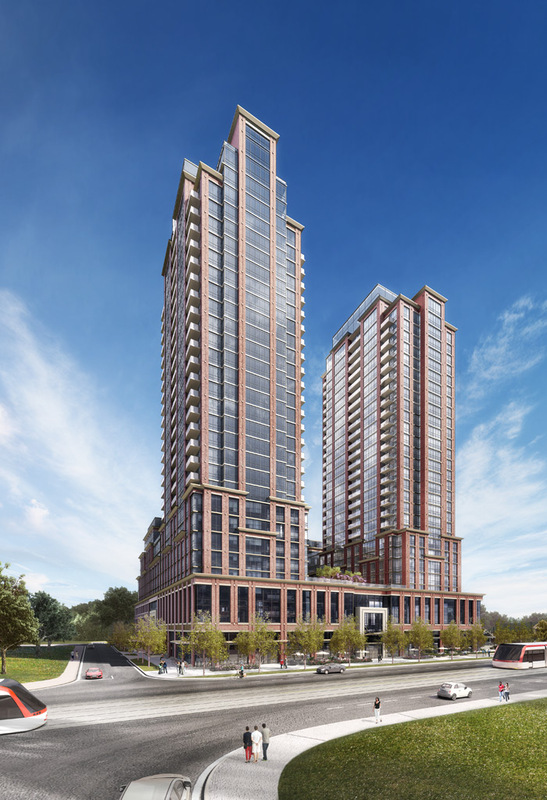 Soon, The Remington Group will launch sales at York Condos, the newest residential condominium in the incredible Downtown Markham community – the largest planned mixed-use community in Canada. This coveted neighbourhood is already a place to live, work, shop and play; now, residents can learn as well, with York University Markham Centre added as a satellite campus. York Condos will be situated steps to the campus, which will accommodate more than 4,000 students, with the potential to expand. Statistics bear out the need for this post-secondary educational facility. York is the only region of its size in North America that doesn’t have a university campus, yet 59.7% of students living in York Region go on to attend university – the highest percentage of any region in the province. Also, more people in this region attend York than any other university, so the fit is a natural! Students at York University Markham Centre will have easy access to remarkable amenities, and it’s a win-win situation for everyone. Highly successful Downtown Markham offers everything from transit (Union Station is only half an hour away) to office, retail and cultural venues. It is designed to be pedestrian friendly, with pathways connecting residents with local amenities including green space and trails. Cineplex Odeon is now open, and the community even encompasses a Marriott Hotel, the Atos Markham Centre of the Pan Am/Parapan Am Games fame, and the Remington Contemporary Art Gallery. York Condos will place suite owners in the midst of it all. The building will feature cutting-edge design, sophisticated amenities and modern suites with high-quality features and finishes. Instilling confidence, it’s all brought to you by The Remington Group, which has been building communities for more than 60 years and has a reputation for excellence and integrity. Condominiums continue to be in demand in this area. Watch for York Condos sales to begin soon. To get in on the ground floor of this amazing residential opportunity, register TODAY at DowntownMarkham.ca.